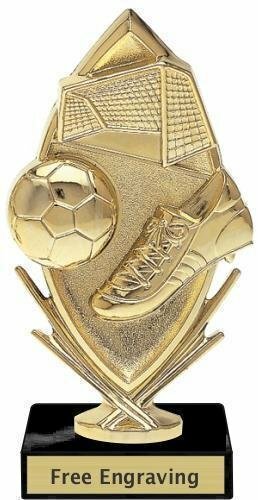 The First Place award is a great choice for tournaments and league champions. It is economically priced to fit any budget. The trophy comes with a laser engraved brushed gold plate. 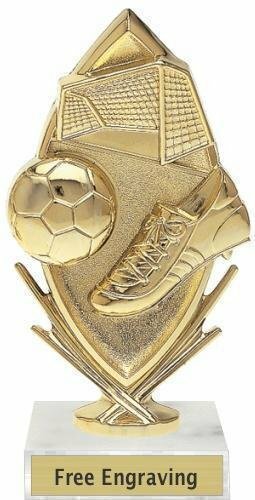 The Second Place award is a great choice for tournaments and league champions. It is economically priced to fit any budget. The trophy comes with a laser engraved brushed gold plate. 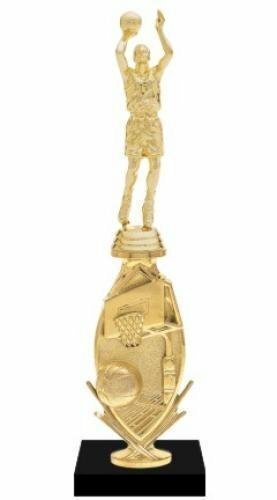 The Third Place award is a great choice for tournaments and league champions. It is economically priced to fit any budget. The trophy comes with a laser engraved brushed gold plate. The accent trophy has a rectangular column with oriental wings. This is a more elaborate choice that still economically priced. The trophy comes with a laser engraved brushed gold plate. The alpha award is a great option that works for both boys and girls. It is a small inexpensive trophy with great character. It comes with a laser engraved brushed gold plate. The alpha player award has great character. It is economically priced to fit any budget. The trophy comes with a laser engraved brushed gold plate. Simple and elegant says it all about this cheerleader backdrop trophy. The cheerleader is shown with her arms out stretched and holding pom poms to root the team on to victory. The unique design of the star rhythm backdrop along with its brilliant colors give this award trophy a dynamic look. This trophy will certainly be something to cheer about! The Column Wreath Trophy is always a great choice that works for both boys and girls. It is economically priced to fit any budget. The trophy comes with a laser engraved brushed gold plate. 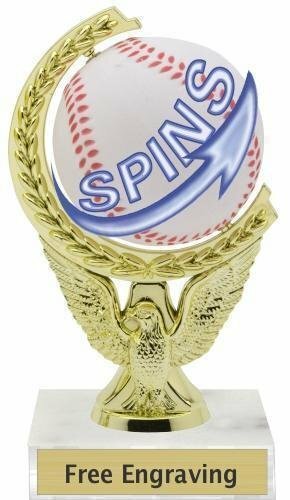 The Eagle Spinner Column Award is a larger fun trophy with a spinning ball. It is still an inexpensive trophy with great character. It comes with a laser engraved brushed gold plate. 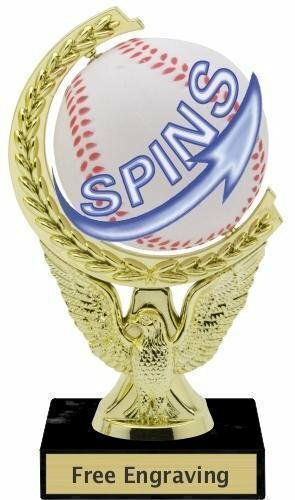 The Eagle Spinner Award is a fun trophy with a spinning ball. It is a small inexpensive trophy with great character. It comes with a laser engraved brushed gold plate.